By far the major part of a rotary screw compressor's overall costs is the cost of electricity, which adds up to a multiple of the compressor's purchase price over its operational life. 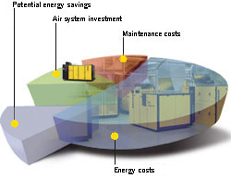 Energy-saving KAESER rotary screw compressors can help users to curb their compressed air costs costs significantly. SIGMA CONTROL automatically regulates and monitors the compressor. It is based on a robust industrial computer with real time operating system and update capability. Operating status is swiftly and clearly displayed by 'traffic light' LEDs. 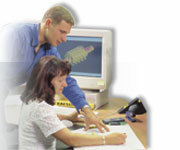 The four-line plain text display, touch keys and pictograms greatly simplify operation. Larger, slower running airends are more efficient and deliver more compressed air for the same drive power. This is why KAESER builds airends with the slowest drive speeds possible and optimised screw profiles. Every KAESER rotary screw compressor equipped with one of these highly efficient airends quickly pays for itself through power cost savings. The KAESER SIGMA PROFILE, introduced in 1975 and continually developed, brings power savings of up to 15 percent over conventional rotary screw profiles. 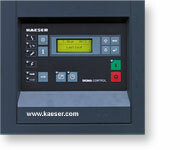 All KAESER airends are equipped with rotors having this energy-saving profile. 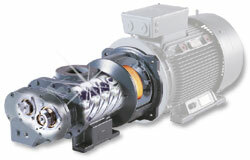 They are operated at their best specific working point to ensure highest energy-efficiency. The generously-sized, precision-aligned roller bearings and close-tolerance machining guarantee long life cycles and outstanding reliability.